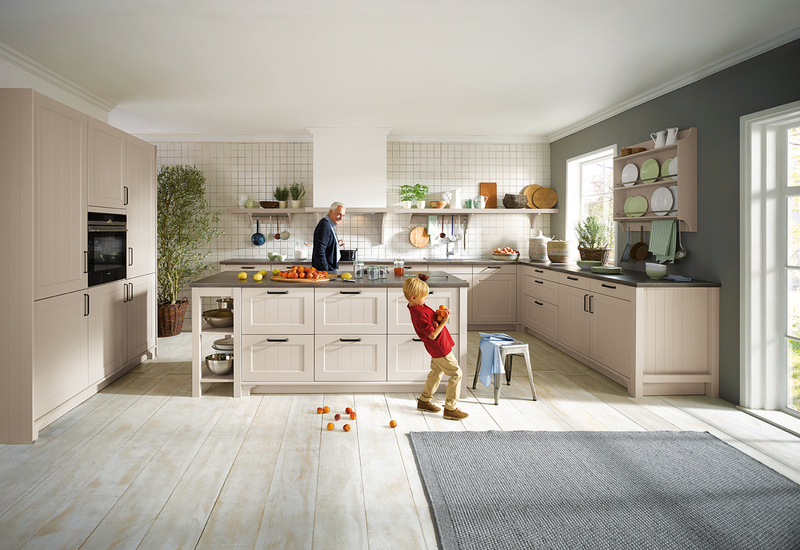 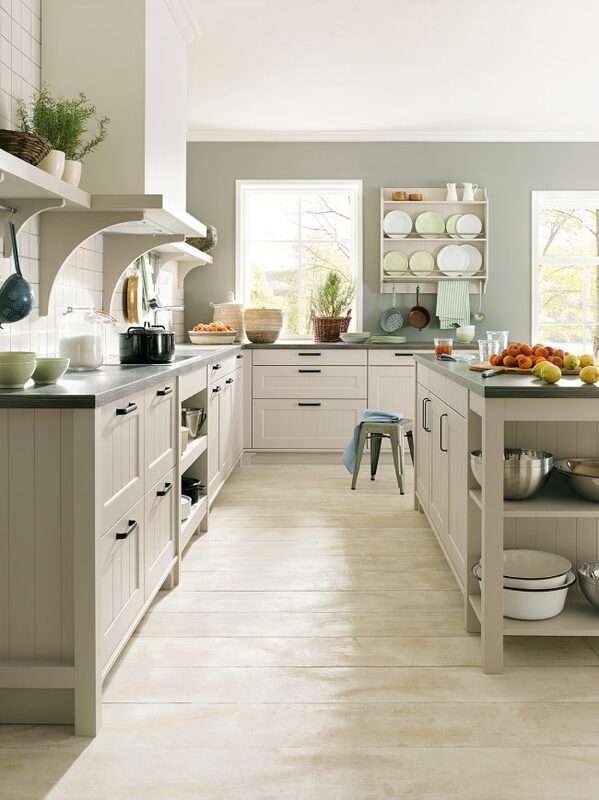 Schüller Canto Kitchen – Canto is one of Schüller’s more traditional ranges. 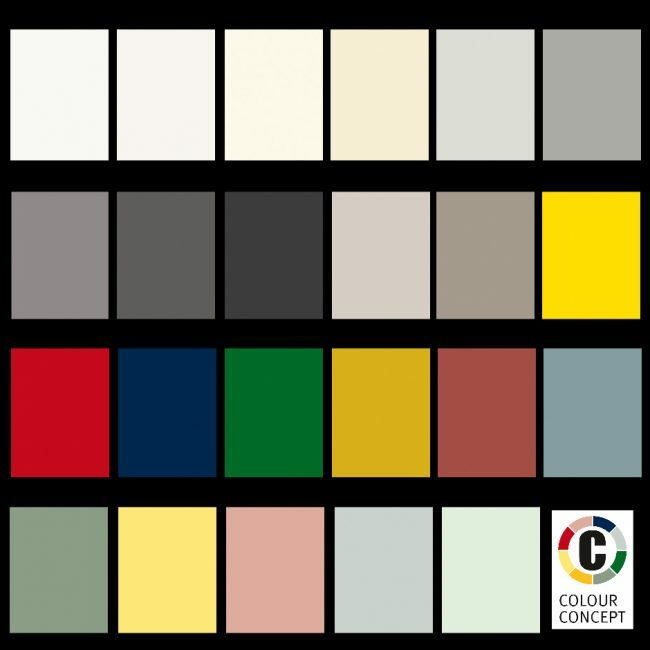 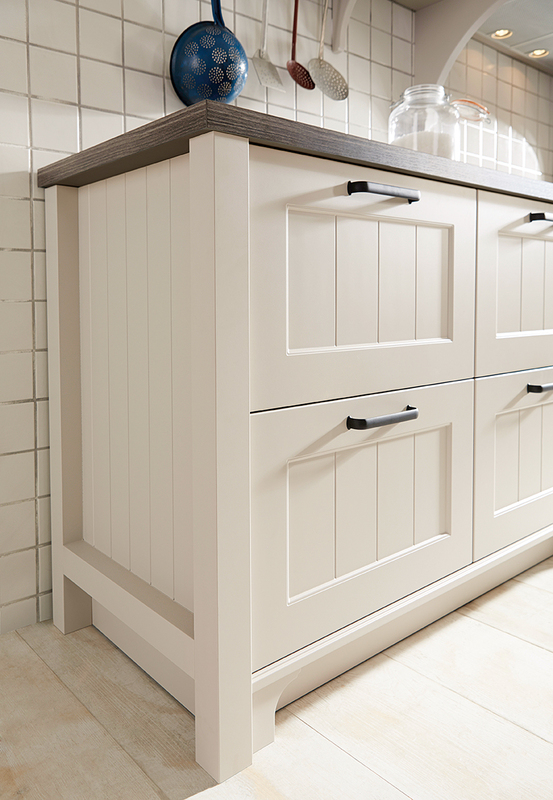 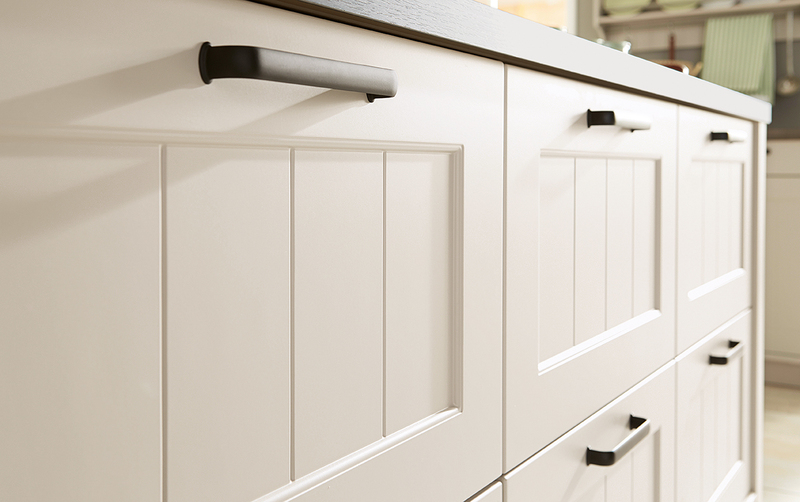 It’s a Shaker Style Door with a Tongue and Groove centre panel and has a smooth satin lacquer, available in 23 colours. 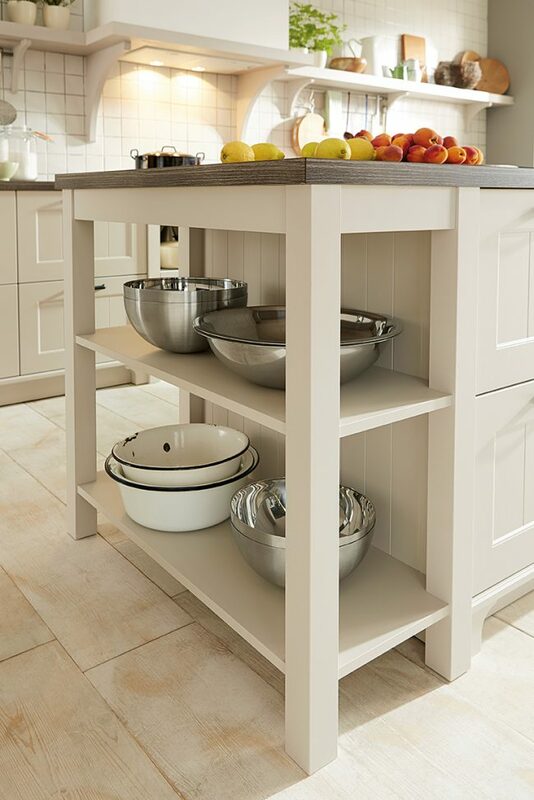 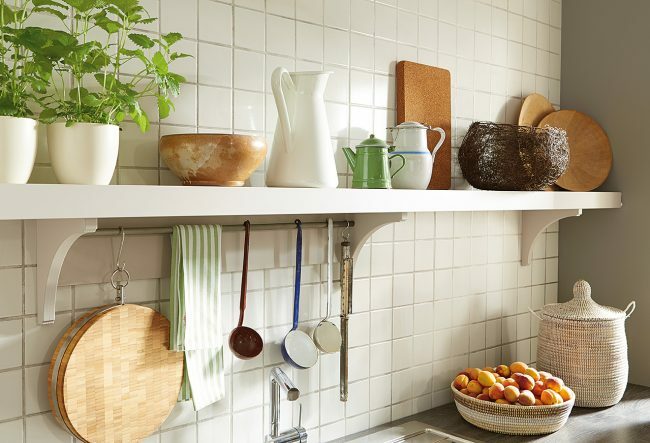 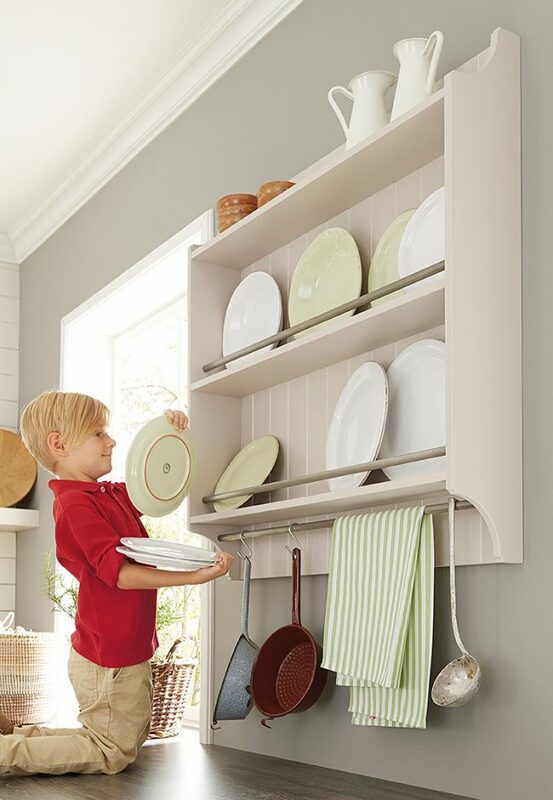 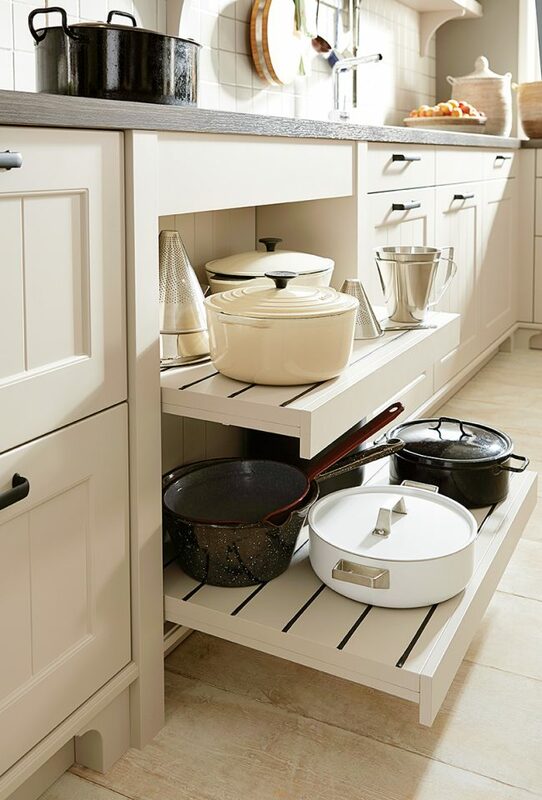 The Canto Range is a modern option for a classic feel – plate shelves are available with a grooved back panel, and open shelf units with railings.